This time, Tor and Chet talk with Nicholas Jitkoff from the Material group about... Material Design. And design in general. And engineering. And splash screens. And other stuff. 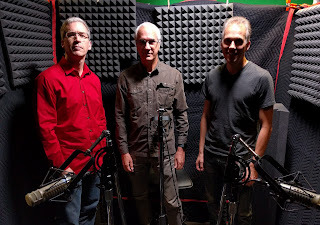 This time, Tor and Chet get all musical with Phil Burk from the Android Audio team. Phil worked on the new MIDI feature in the Android 6.0 Marshmallow release, and joins the podcast to talk about MIDI (history as well as Android implementation), electronic music, and other audio-related topics. Bryan said it was his favorite episode so far. But then Bryan's an audio engineer, so he might be slightly biased. Android MIDI: It's music to our ears. In this, er, impressive episode, Tor and Chet talk with Jim Miller from the Android System UI team. We mostly chat about the new fingerprint feature in Android 6 Marshmallow (aka, "Nexus Imprint"). But we also talk about other things like Keyguard, Setup Wizard, widgets, notifications, and greasy chicken parts. "UIs, like fingerprints, are all unique." In this Tor-less episode, Chet talks with Ben Murdoch and Richard Coles from the Android WebView team. We talk about WebView's ability to update outside of platform releases, the transition from the original WebView to the new Chromium WebView widget, about some of the new features and APIs in recent releases, and about cute kitten bitmaps. Tor didn't have much to say, about kittens or anything else. Also, thanks to continued support by Bryan Gordon, our audio engineer who puts this stuff together every time. In this episode, we talk with Rachel Garb from the Android User Experience team. Tune in to hear about interaction design and about how the Android system UI (including the new volume slider UI in Android M) is designed and user-tested. In this episode, we chat with George Mount and Yigit Boyar from the Android UI Toolkit team. Yigit and George worked on the new Data Binding feature announced at Google I/O and which is available in the preview release and in recent versions of Android Studio. In this episode, we chat with Andrew Bunner and Akshay Kannan from the Nearby team. Nearby is a technology that allows devices that are, er, nearby to communicate in one of several ways (including ultrasonic frequencies, which is just kind of awesome). Favorite bits: "beeps and boops" (a technical term), "acoustical chamber" (sounds a lot cooler than it probably is), and the three most important things about Nearby: proximity, proximity, proximity. In this episode, we chat with Ben Poiesz, a product manager on the Android framework about the exciting new Permissions model in Android M.
In this episode, we chat with Pierre-Yves Ricau (aka @Piwai, for his initials P and Y and for the benefit of non-French-speakers that find "Pierre-Yves" entirely too complicated to pronounce) from Square about his excellent Leak Canary tool, as well as other topics he's interested in -- presenting, dependency injection, and crash reporting. This time, Tor and Chet are joined by Chris Craik from the Android UI Toolkit team. Chris took time out of his busy schedule of writing performance-testing tools and fixing graphics performance issues to talk on the podcast about, well, performance-testing tools and graphics performance issues. Listen in to learn about graphics performance tips, tricks, and tools. 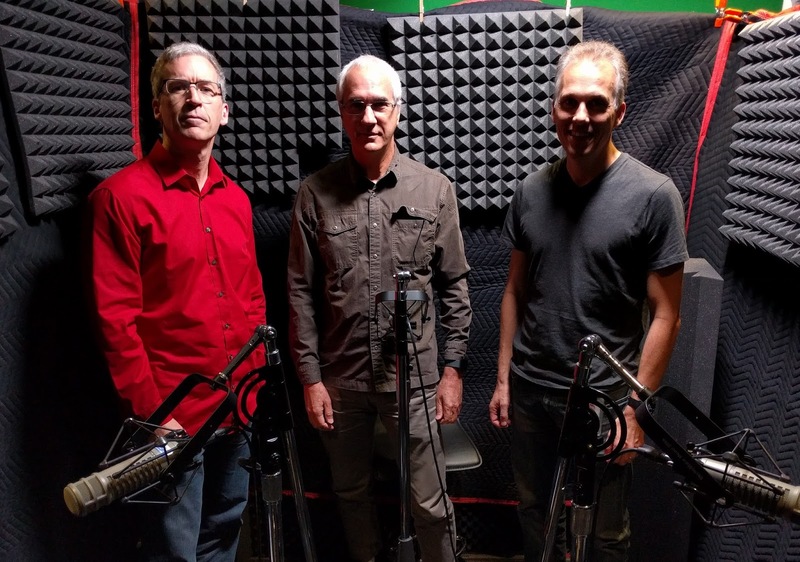 This time, Tor and Chet are joined by Chris Banes (again!) to talk about the new Android Design Library, which was released at Google I/O 2015. Listen in to find out all about CoordinatorLayout, FAB, Snackbar, and more, more, more! This time, Tor and Chet are joined by Chet and Tor when they are once again unexpectedly blown off by a special guest. 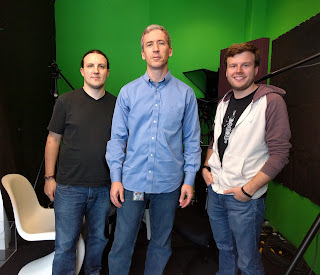 Fortunately, there was plenty to talk about, including Google I/O, Android Studio 1.3, M Developer Preview, and the new Developing for Android series of articles. This time, Tor and Chet are joined by Chiu-Ki Chan, an external developer and frequent presenter about Android developer. Hear us talk about custom views, watch faces, TextView, learning Chinese, libraries, and other random stuff. "To get room temperature water, mix cold water and hot water." Tor and Chet are joined by Gustavo Moura from the Google Fit team. We talk about the Google Fit app, but also about the GMS Core and REST APIs that enable that application and any other application that wants to take advantage of the sensor data that those APIs provide. Getting Fit, one step at a time. 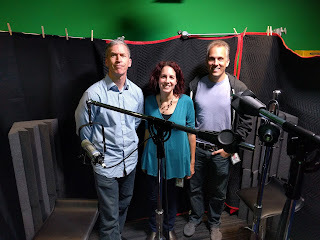 Tor and Chet are joined by Thomas Knych and Valera Zakharov from the Espresso team at Google. This episode is all about testing. We talk about how Espresso works, how Espresso came to be, how to use Espresso, and lots of other information about Espresso. And UI testing in general. "What does failure look like?" 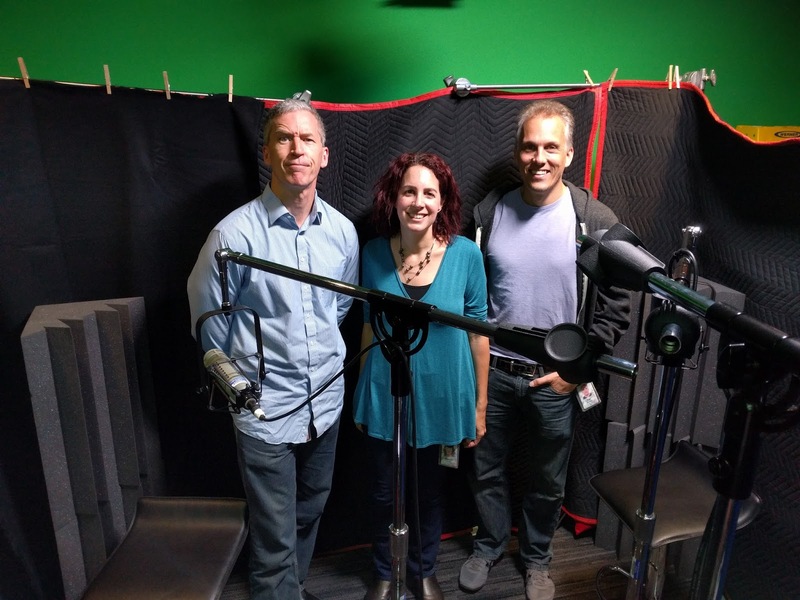 Tor and Chet are joined by Roman Nurik from the Android Developer Relations team. We talk about Asset Studio to the Muzei wallpaper to Material Design to Android Studio application templates to watchfaces to icons to the Google I/O scheduling app to Android application design to the FORM conference. I guess he's been busy. Tor and Chet are joined by Gabriel Peal from the Android Auto team. We talk about... cars! And dashboard entertainment systems, and notifications, and navigation, and the Android Auto capabilities available today. Tor and Chet are joined by Justin Koh and Griff Hazen from the Android Wear team. We talk about watches, notifications, watch faces, data, apps, services, and All Things Wear. You could say that we wear out the topic. You probably wouldn't, but you could. Tor and Chet are joined by Kirill Grouchnikov from the Play Store team (What, again? Don't these guys know more than twenty developers?) about various aspects of implementing Material Design in applications, including handling releases prior to Android 5.0 Lollipop. "It's like redesigning the whole pig"